MuTonics is a West Cork company set up by Clovis Ferguson & Ruth Calder-Potts to share their love of natural, quality ingredients and to develop both traditional and contemporary health drinks. 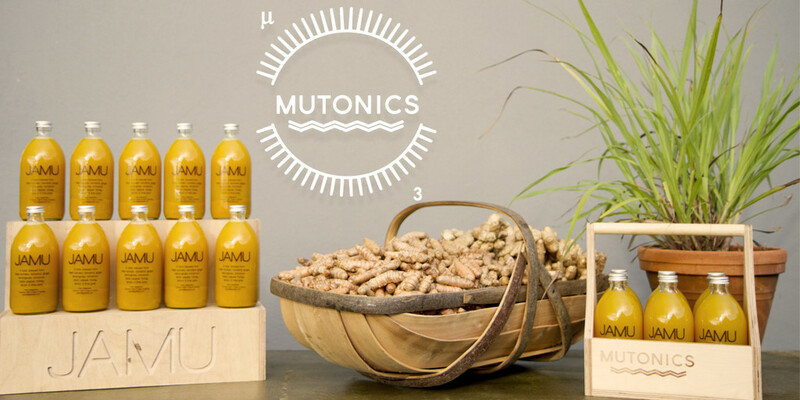 JAMU is their first product – It is a brew of organic fresh turmeric, tamarind, ginger, lemongrass, cinnamon and other powerful spices. It is not a juice! Each ingredient in the mix stands alone as a wonder spice, herb or bark known for their beneficial properties. It has a comforting aromatic flavour and is citrusy and spicy warm. The colour alone would make you feel good! Each bottle contains 3,700mg of turmeric. The bottle contains enough for a daily shot for 5+ days. Answer: Most things do, but we would say it is more suited taken the day after you’ve had too much gin!! They will have tasters of Jamu along with 500ml bottles for sale.